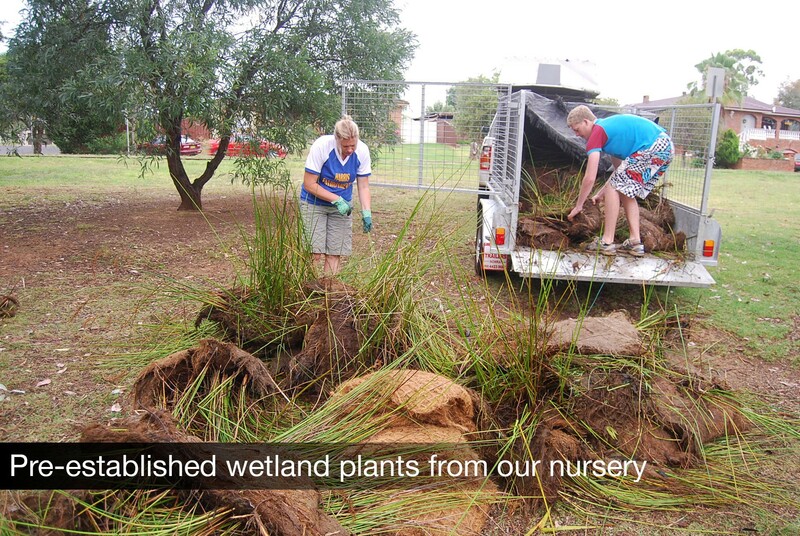 Purpose: Trial the use of Floating Treatment Wetlands in three urban storm water ponds subject to poor water quality. Scope of works: 12m2 FTW installed at three trial sites. 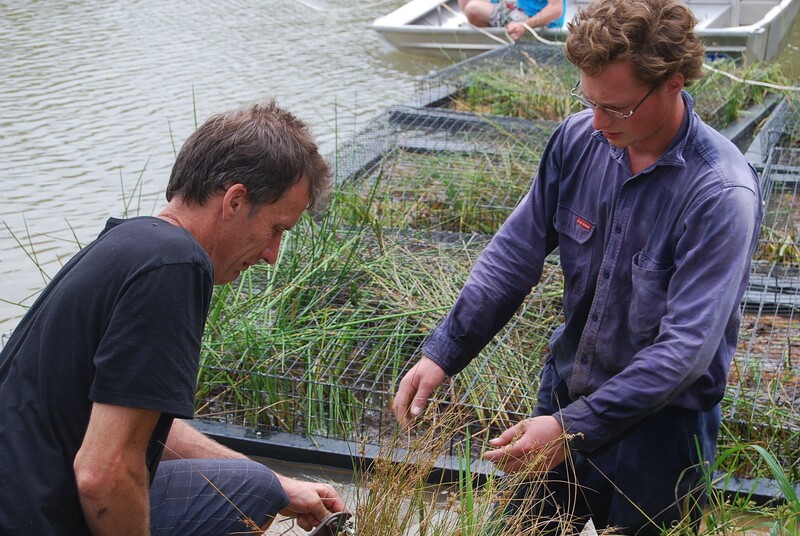 Installed without bird protection cages, the plants were completely destroyed within 6 weeks. FTW was replanted with tube stock and cages installed. Each FTW anchored by two submerged anchor points. An additional 36m2 was installed in January 2014. Issues: Submerged anchors haven proven to be problematic. Future installations incorporate shoreline anchoring. 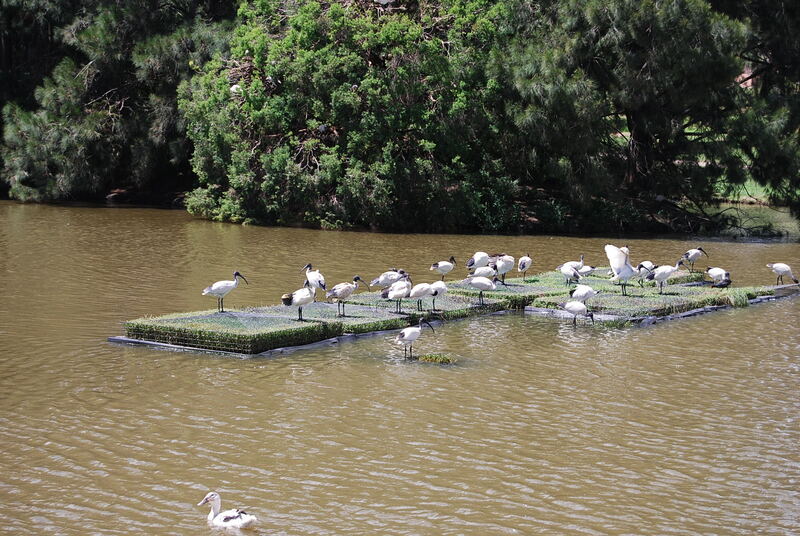 Ibis birds were not present for the first 18 months after installation. Recently these birds have moved in and their beaks can penetrate through the mesh cage. 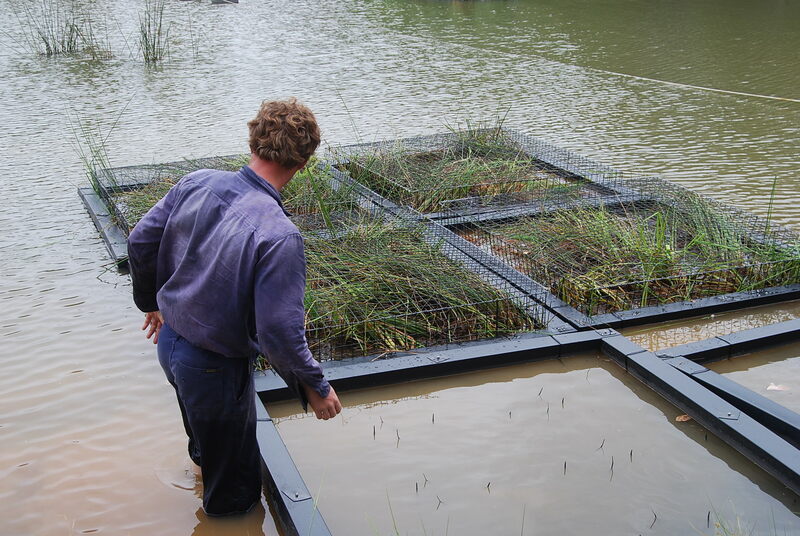 A new cage with smaller mesh has been design and is under trial to address Ibis populations. 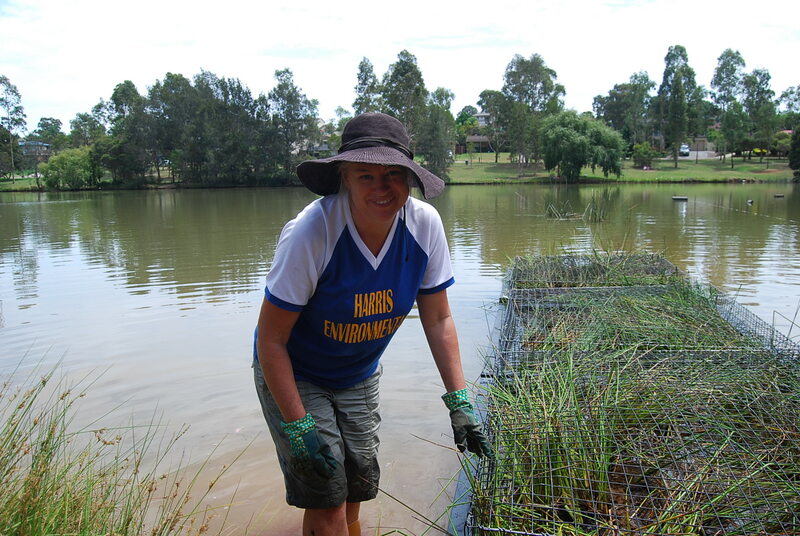 Weed control was not undertaken by Council and Water Couch needs to be managed, in conjunction with the new cage. 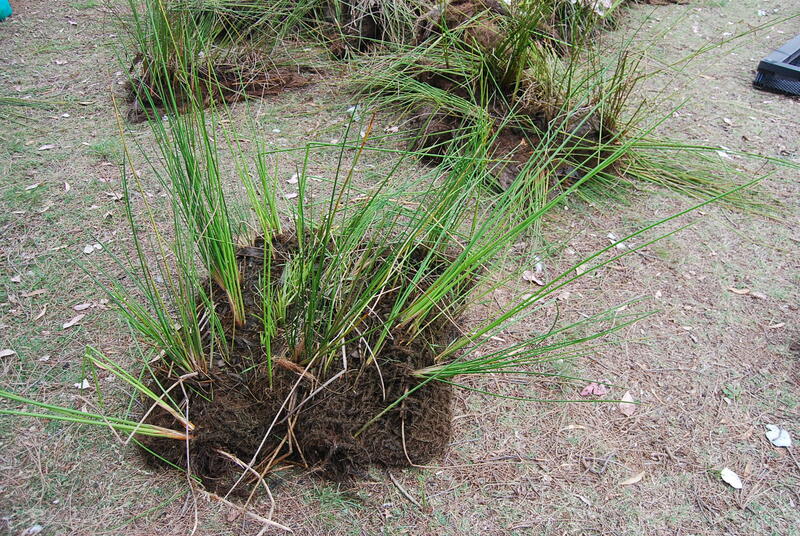 IBIS can destroy a floating wetland and this example shows why we further designed a cage to prevent this destruction occurring.